A campaign that will provide medical counseling and health advice as well as offer free seasonal flu and pneumococcal vaccines to Haj pilgrims was launched by health authorities on Monday. The Ministry of Health and Prevention (MoHP) launched this year's Haj campaign in cooperation with the Abu Dhabi Health Authority and Dubai Health Authority. Dr Hussain Abdul Rahman Al Rand, Assistant Undersecretary for Health Centres and Clinics said the campaign was being carried out to reduce pilgrims' exposure to health risks and prevent spread of diseases while performing Haj. Dr Omniyat Al Hajri, Director of Public Health Department HAAD said, "Believing that prevention is better than cure, the authority calls upon all pilgrims wishing to perform Haj this year to take all preventive measures that aims to keep them safe and protected from potential infectious diseases as a result of the overcrowding of pilgrims from different parts of the world-interacting with people of different cultures, races and ages, as well as different health risks." "We encourage pilgrims to undertake the necessary vaccinations prior to traveling, while also practicing personal hygiene, getting enough rest and adequate intake of fluids," she said. Al Hajeri added that all UAE citizens and residents of Abu Dhabi can receive the necessary vaccinations free-of-charge at most of the HAAD health centres. Dr Elham Al Nuaimi of DHA stressed the need for pilgrims to obtain necessary vaccinations before traveling for at least 15 days, as one of the most important ways to prevent infectious diseases. "If recommended vaccinations are not obtained and outbreak of the disease is associated with the pilgrimage season, pilgrims may bring the disease with them to their countries of origin, leading to the possibility of global outbreaks of a disease in the future," she said. The ministry advised that older people aged 60 years and above, chronically ill, children and pregnant women, and those with HIV are advised to postpone Haj or Umrah this year for their safety. 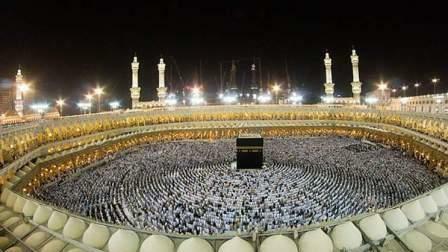 They also said that children participating in Haj should be up-to-date with their basic vaccinations. If any symptoms of respiratory infection are observed 14 days after returning from Haj or Umrah, visit the nearest health centre, they added. For list of health centers offering Haj vaccinations, please visit www.haad.ae/vaccine Or call 800 555. Pilgrims, especially those with high blood pressure, diabetes, asthma and other chronic diseases should visit their doctors or any health centres before performing Haj. Elderly and individuals with health conditions should visit Preventive Medicine Department or any health centre at least four to six weeks before travelling and take meningitis, seasonal flu, and pneumococcal vaccines. A meningitis vaccination is a prerequisite to secure a visa to Saudi Arabia. A medicine bag is needed to place their medicines, Vaseline and powder, compressive ligaments, skin burn ointments, wound wipes, gauze, cottons, salts to treat dehydration, and rehydration powders. Pilgrims are also advised to use sunscreen. Pilgrims should always carry their identification and insurance cards. They should also ensure that their rooms are properly ventilated and to always observe cleanliness. It is also recommended to use fresh, clean, and disposable blades to prevent the possible transmission of infectious diseases such as AIDS and hepatitis. Drinking eight to 10 glass of clean water a day is highly recommended as well, in addition to fresh juices. Sugary foods and soft drinks should be avoided. Cooked food should not be kept for more than two hours at room temperature. Pilgrims should consume safe and clean food and avoid meals that might have been exposed to insects and dusts. Observe personal hygiene. The disease is transmitted mainly through mosquito bites among people who have traveled in a country where the disease is prevalent. The most common symptoms are fever, rashes, joint pain, or conjunctivitis (red eye). Symptoms usually begin after 2-7 days of exposure to infected mosquito bites. There is no vaccine for Zika disease and the best way to prevent the disease is by avoiding mosquito bites. Unless absolutely necessary, all pregnant women should consider delaying their travel to areas where Zika cases have been reported. Sunstroke occurs due to prolonged exposure to hot weather, resulting in loss of significant amount of fluids and salts. Neglecting it may lead to death due to kidney failure or heart failure. · Wash hands with water, soap, or other disinfectants, especially after coughing, sneezing, or using the toilet. · Avoid touching the eyes, nose and mouth to prevent spread of bacteria. · Avoid direct contact with people suffering from illnesses such as coughing. Avoid kissing. · See a doctor if symptoms of respiratory infection accompanied by fever or shortness of breath surface.